06 / 12 / 2018 :: ian richter w/ shira horesh. tel aviv poetry festival, beit maariv club. 08 / 11 / 2018 :: ian richter w/ shira horesh. 11:11 launch, hanna house, tel aviv. 26 / 10 / 2018 :: ian richter. 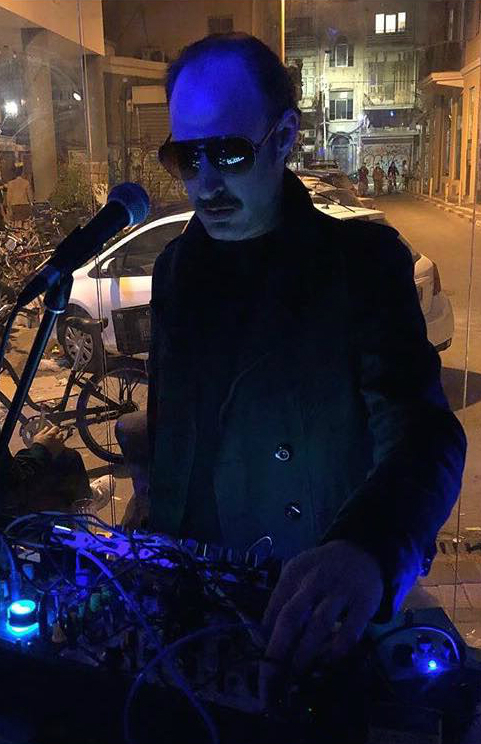 live set at balades sonores, brussels, belgium. 16 / 10 / 2018 :: ian richter w/ shira horesh. תיאטרון יפו مسرح يافا jaffa theatre, yafo. 20 / 09 / 2018 :: ian richter. live set. confused machines release party. taco slash, haifa. 05 / 09 / 2018 :: ian richter. live set. confused machines release party. hamiffal, jerusalem. 01 / 09 / 2018 :: ian richter. live set. visuals by benny's video. atar - أتار - אתר, yafo. 30 / 08 / 2018 :: ian richter & nimrod gershoni. AV improv set. koma 3, tel aviv. 24 / 08 / 2018 :: ian richter. live set. visuals by benny's video. zimmer, tel aviv. 30 / 07 / 2018 :: ian richter & lars. live improv set. mazkeka מזקקה مزكيكا, jerusalem. 23 / 05 / 2018 :: ian richter. live set. zound zistem debut event. drama club, tel aviv. 19 / 04 / 2018 :: ian richter. live set. uganda bar, tel aviv. 02 / 03 / 2018 :: ian richter. live set. uganda purim festival, tel aviv. 31 / 03 / 2018 :: ian richter. live set. "analog signals". anna loulou, yafo. 01 / 02 / 2018 :: ian richter. live set. "print terror" 7th annual funzine festival. february 2nd. central station, tel aviv. 18 / 10 / 2017 :: "black gold" exhibition opening. anisa ashkar. museum of islamic and near eastern cultures. 23 / 08 / 2017 :: "an innocence". w choreographer ayala frenkel. international street art festival, bat yam. 24 / 08 / 2017 :: "an innocence". w choreographer ayala frenkel. international street art festival, bat yam. 26 / 08 / 2017 :: "an innocence". w choreographer ayala frenkel. international street art festival, bat yam. 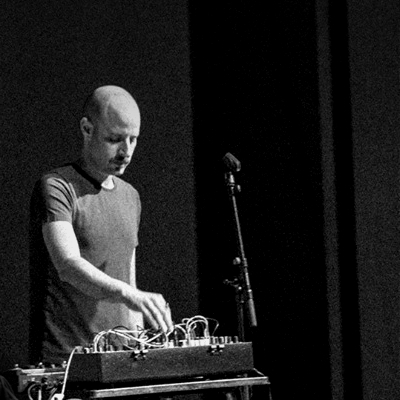 04 / 08 / 2017 :: "ian richter" live modular synth set. "starry night" festival, mitzpe ramon. 20 / 07 / 2017 :: spark o - confused machines release event. 08 / 06 / 2017 :: "ian richter" live set. bezalel mfa event. tel aviv. 05 / 05 / 2017 :: "cv ensemble" for avadon. alessandro cortini. zoe polanski. tel aviv museum of art. 16 / 01 / 2017 :: "cv ensemble". modular synth improvisation. uganda, tel aviv. 06 / 01 / 2017 :: "keeloo 3". gabirol - גַבִּירוֹל - جَبيرول gallery. w artist nimrod gershoni. tel aviv. 07 / 01 / 2017 :: "keeloo 3". gabirol - גַבִּירוֹל - جَبيرول gallery. w artist nimrod gershoni. tel aviv. 04 / 12 / 2016 :: "2her". international dance week. w choreographer ayala frenkel. hakarnaf hall, jerusalem. 25 / 11 / 2016 :: "ian richter" live. atlas festival. arad. 14 / 10 / 2016 :: "ian richter" live. "wings of desire" event. tel aviv. 04 / 10 / 2016 :: "2her". suzanne dellal center for dance and theatre. w choreographer ayala frenkel. tel aviv. 14 / 07 / 2016 :: "2her". hazira festival. w choreographer ayala frenkel. jerusalem. 12 / 07 / 2016 :: "2her". hazira festival. w choreographer ayala frenkel. jerusalem. 09 / 07 / 2016 :: "2her". warehouse 2. w choreographer ayala frenkel. tel aviv. 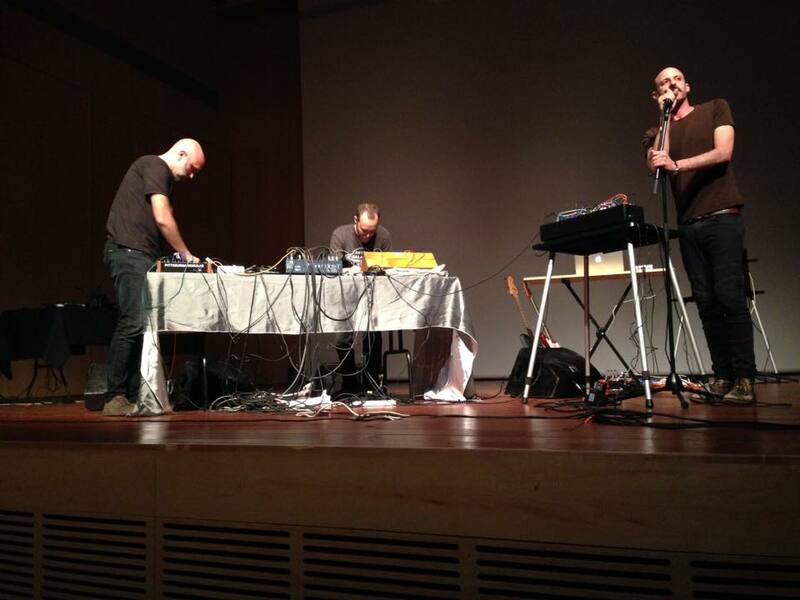 26 / 05 / 2016 :: "ian richter" live improvisation. national conference for music therapists. tel aviv. 05 / 03 / 2016 :: "keeloo". "demonstration" exhibition. aza 13. w artist alexander gershoni. jaffa. 27 / 07 / 2016 :: "ian richter" live. anna loulou. jaffa. 12 / 12 / 2015 :: "keeloo". center for contemporary art. w artist nimrod gershoni. tel aviv. 17 / 07 / 2015 :: "ian richter" live. hanut 31 theatre. tel aviv. 13 / 06 / 2015 :: "von helix" support blaine l. reininger (tuxedomoon). papaito, tel aviv. 12 / 06 / 2015 :: "von helix" support blaine l. reininger (tuxedomoon). papaito, tel aviv.